I am a psychotherapist, author, inspirational speaker, consultant, and educator, as well as an actor and musician. I have been specializing in the area of healing after loss for over thirty years, and I approach all of my work with enthusiasm and humor. I've given hundreds of keynotes, seminars, workshops and have led numerous retreats across the US and Canada. My talks are always intersperced with inspirational stories and music, and those attending my keynotes and workshops invariably leave feeling energized, uplifted and grateful. In 2009, St. Martin's Press published my book, The Journey Through Grief and Loss: Helping Yourself and Your Child When Grief is Shared. My other publications include fourteen Care Notes for Abbey Press that deal with a variety of issues faced by those who grieve. You can check out my resume for a complete listing of my publications and presentations. 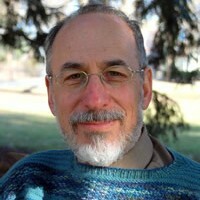 Find out more about Robert Zucker at http://robertzucker.com/.